A majority of Americans older than 25 are overweight, and the number is climbing, according to a Harris Poll released Tuesday, March 4, 2002, and it's a deadly trend! Surveyors interviewed 1,011 Americans 18 and older between January 16 and 21. Poll results show that 80 percent of people older than 25 are overweight based on the Body Mass Index (BMI), a national guideline computed through a combination of weight and height. That figure has risen from 71 percent in 1995, 64 percent in 1990 and 58 percent in 1983. Thirty-three percent of adults are 20 percent overweight -- more than double the number in 1983 -- when the figure was 15 percent. Results showed that 16 percent of U.S. adults in 1990 were 20 percent overweight and 22 percent in 1995 were 20 percent overweight. A BMI of under 25 is considered normal, while 25 to 29.9 is deemed overweight and 30 and more is obese. For example, a 5-foot-7 person weighing 140 pounds would have a BMI of about 22, while one weighing 180 pounds would have a BMI of more than 28. So many kids today spend their time playing video games, watching TV or sitting in front of the computer. Beyond the effect of too many hours in an electronic field, these children are not getting the physical activity that they need to be slim and fit. Exercise is extremely important to the development of their muscles and bones as well. produce a less healthy and possibly overweight body. Schools do not have as much physical education and other physical activity as they used to have. On the other hand, there is more junk food sold in schools than ever. Beyond that, many children bring candy to school and sneak it into their mouths all day long. The consequences in terms of poor behavior in the present, and other problems years later, are profound. Type 2, "adult onset" diabetes began appearing in children about 20 years ago. In the last 10 years the number of children with it has increased by a multiple of 4. The primary causes are the widespread over-consumption of soda pop, candy and other sweets and refined carbohydrates, and the lack of exercise. When children with Type 2 diabetes improve their diet and pursue adequate exercise, the diabetes can be cleared up. However, when they resort again to indulging the sweets and lay off the exercise, the diabetes returns. It is difficult to control a child's diet for them. They must be convinced of the importance of it, so they make good choices for themselves. The earlier they learn what is good, the better. Over the years, diabetes can lead to heart attacks and strokes at an early age, blindness, foot and leg amputations, and kidney failure --requiring dialysis. Most obese children are sooner or later obese as adults. Those who remain obese in adulthood will have a greater likelihood of cancer and heart disease as well as high blood pressure and stroke, in addition to diabetes. Gall stones are more likely as well. As mentioned earlier, 33% of adults are 20 percent or more overweight. Many of these were overweight as children. A child under two years old should not be restricted in fat intake, and no child should be severely limited, as fat is needed for growth and brain development. The best fat is Omega 3 fatty acid, which is seriously deficient in the common diet. It is found in the oil of flaxseeds and in certain fish, especially cod, mackeral, halibut, sardines, and salmon. Parents should encourage a healthier lifestyle. In terms of diet, begin by restricting intake of "empty calorie" junk foods. Provide and promote a nutritious diet, including primarily vegetables, fruits, and high quality protein foods (needed for growing bodies). Unsalted nuts and seeds, fresh fruits and unsulfured dried fruits, cut veggies, low fat yogurt (without sugar or aspartame), and a good granola (also without sugar), make wholesome snack alternatives. Limit hours of sedentary play such as TV, computer and video games; and promote walking, bicycling and other physical activities. Parents can go on an enjoyable daily walk or bike ride with children. You can also engage in sports activities together, including slightly competitive events -- races, basketball games, etc. Children really enjoy these times with parents. Most importantly, help children learn to value health and fitness, not only so they will feel better and have greater self esteem, but also so that they develop an eye for their own future, in that what they do now will have later consequences. Once fat cells are developed they remain in the body. Even though these cells may have the excess fat burned out of them through a healthy regimen of good eating and exercise, they can rapidly fill with fat again. If one begins eating more than they burn off in metabolism, the extra will go to fat more readily in a person with residual fat cells than a person who has never been overweight. U.S. Surgeon General David Satcher has declared obesity America's soon-to-be-number one killer. In December, 2001 he put out a "call to action" in which he said obesity would soon be responsible for more preventable disease and death than cigarettes. He then called on Americans to overhaul their lifestyles and diets by eating healthier and exercising more in order to combat obesity. Modifying the concept of personal responsibility he said, "People tend to think of overweight and obesity as strictly a personal matter, but there is much that communities can and should do to address these problems." "If Americans were to make the effort to manage their weight using a variety of options, including better nutrition, more exercise, approved medications or even surgical approaches, we would be rewarded with significantly better health," said a statement issued by Dr. Louis Aronne, an authority on obesity at Cornell University's Weill Medical College in New York. Sixty percent of the people surveyed in the Harris Poll said they would like to lose weight, including 72 percent of those who are overweight. Fifty-eight percent of adults said they have made a serious attempt to lose weight. Among those are 65 percent who are overweight. "Fat-Free" Foods Can Be Fattening! Fat-free or low fat foods are popular. You see "lite", "fat-free", and "no fat" on many products today such as chips, crackers, yogurt, ice cream, cookies, and pastry items. Yet most of these have sugar and/or other carbohydrates that make the calories just about as high. Do not make the mistake of assuming these are "diet foods" that will be less fattening. The American Heart Association is publically accusing low-fat and non-fat food products for having a major role in the national epidemic of obesity. According to Reuters news service, the author of an AHA paper on the matter, Dr. Judith Wylie-Rosett of New York's Albert Einstein College of Medicine, stated, "Too often we forget about limiting the quantity when a product is promoted as low-fat." - Read the nutritional content on labels. Look for the number of calories per SERVING. - Avoid "fat-free" food products. Eat mostly fresh fruits, vegetables and other foods rich in fiber. These taste good and fill you up, and they have little or no fat and no added sugar. - Consider "fat-free" desserts and snacks to be fattening and only eat them as an occasional treat. As a guideline, try to get 50-60 percent of your calories from carbohydrates (primarily fruits, vegetables and whole grains), 15-20 percent from proteins, and 20-30 percent from fats. Adults should limit calories to about 2000 per day or less, unless you are fit and engaging in strenuous activity. Further, a natural weight-management supplement program can help greatly. I have been in the natural health field for 30 years. From way back in the early days of "health foods", it has been commonly known that kelp (esp. the variety, fucus vesiculosus), Vitamin B6, apple cider vinegar and "linseed oil" (aka flax oil) were good natural aids to weight control. Vitamin B-6 is a metabolic stimulator. Cider vinegar is a cleanser, and also can break up fat deposits. Flax oil and the Essential Fatty Acid, Alpha Linolenic Acid (ALA) that it provides, helps to emulsify or "melt away" other fats so they can move out of storage and be burned. Further, flax oil is one of the most nutritious oils. It is the best food for ALA, source of crucially needed Omega 3 fats. Some of the most successful weight loss programs have utilized (linseed) flax oil, but the high quality whole milled seed I recommend is much better. It is guaranteed fresh and NOT rancid (as extracted oil is), and has a 45% oil content. Flax also provides ideal fiber, which absorbs some of the fats and cholesterol in the diet and moves them through the intestines, reducing absorption. This fiber also helps elimination and curbs appetite. Visit http://FlaxFood.com to read more about flaxseed. Another great food for a period of attempting weight-loss is watermelon. It fills you up without heavy calories, and it is good for both urinary and bowel elimination. The mineral chromium is also known to enhance weight loss metabolism, and it helpful for those with blood sugar problems as well. Exercise is crucial. Go out for a lengthy walk, run, or bicycle ride, or go skating, three or four times per week, building the length and intensity gradually. Of course, if you are seriously overweight or have other medical conditions, talk with your health practitioner before beginning any dietary or exercise program. Sustained-release energy blend—this blend of ingredients, including a patent-pending form of caffeine, provides safe, lasting energy support that may increase energy expenditure throughout the day, increasing calorie burn rate and supporting moderate weight loss over time. Consume 4 capsules each day, taking 2 in the morning and 2 at lunch. Each bottle contains a 30-day supply. Take 2 capsules 30 minutes before a meal three times daily. This formula should be part of a program that includes healthy diet and exercise. Capsicum and green tea combine to increase thermogenesis and decrease body fat. EGCG from green tea is a powerful antioxidant, and some studies show that green tea may have beneficial effects on cholesterol levels already in the normal range. Bitter orange fruit (Citrus aurantium) naturally contains synephrine, which helps the body use energy properly, stimulates metabolism, helps with the uptake of amino acids into muscle, increases lipolysis (the breakdown of fat) and can exert mild hunger-suppressant effects. Yerba mate and guarana increase thermogenesis by boosting energy expenditure and metabolism. These two herbs provide natural sources of caffeine (20 mg per capsule) that is utilized by the body for energy and endurance. Ginger has been used traditionally for lypolisis and weight management, and it may have a metabolic-boosting effect. Chickweed is an essential ingredient in our popular Fat Grabbers product. Guggulipid herb contains guggulsterones, which, according to studies, help maintain cholesterol levels already within the normal range. Guggulsterones may help reduce fat stores due to their thyroid-stimulating activity. Decaffeinated green tea leaf extract, capsicum fruit, guarana seed extract, ginger rhizome, bitter orange fruit extract, guggulipid, yerba mate leaves extract and chickweed aerial parts. Take 1–2 capsules three times daily with food. Carbo Grabbers contains an amylase inhibitor derived from northern white kidney beans, which may help reduce the calories available to your body. It naturally and safely interferes with the digestion of starchy carbohydrates. Because the enzymatic breakdown of some dietary starch may be inhibited, these undigested starches can be carried through the intestinal tract where the body can eliminate them. This makes avoiding carbohydrates—a common practice among some dieters—a thing of the past! We added 18 mcg of patented, food-bound chromium per serving. Chromium helps transport glucose from the blood into the cells. This means Carbo Grabbers provides additional help toward maintaining blood sugar levels already within the normal range. Chromium may also have a positive effect on blood fat levels. 18 mcg chromium (15% of Daily Value) and white kidney bean extract. 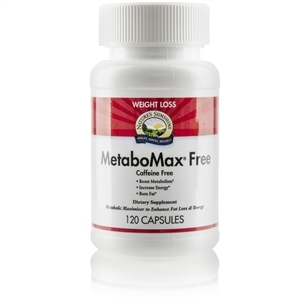 Take 1–2 capsules up to three times daily before eating foods high in carbohydrates. Do not take in combination with digestive enzymes that contain proteases. Unlike some other types of fiber, guar gum does not affect mineral absorption. However, this fiber does slow down sugar absorption, which helps to maintain blood sugar levels already within the normal range. It also swells with fluid intake, promoting a feeling of satiety. Guar gum, psyllium hulls, chickweed leaf extract and lecithin. Take 4 capsules with a meal three times daily. Drink 8 oz. pure water with the capsules, then follow with another glass of water. Cortisol is a hormone produced in the adrenal glands in response to stress. It promotes the formation of glucose, which is used as fuel during stressful situations. Researchers have begun to notice a connection between cortisol levels and weight-management indicators, such as calorie consumption and weight gain. This formula contains Relora® to help the body manage stress and maintain cortisol levels already within the normal range. Other key ingredients—banaba, holy basil, chromium and vanadium—help maintain blood glucose levels already within the normal range. This product also features DHEA, a hormone precursor that interacts with the adrenal glands, which may subsequently affect cortisol production. Nature’s Cortisol Formula also features decaffeinated green tea extract (60% EGCG), l-theanine (Suntheanine®, which supports the body during times of stress) and calcium ascorbate. 60 mg vitamin C (100% Daily Value) 100 mcg chromium (83% DV), Relora (a proprietary blend of magnolia bark extract and phellodendron bark extract), holy basil leaves extract, green tea leaf extract, banaba leaf extract, l-theanine, DHEA and vanadium. Take 1 capsule with a meal three times daily. Combine with a sensible diet and exercise program. Please allow two to three months for best results. Individual results may vary. NOTE: Not for use by individuals under the age of 18 years. NOTE: These items can be combined for savings on shipping. Copyright 2005-2019 by Natural Health Enterprises -- All rights reserved. IF YOU WANT TO PAY BY PHONE using either your checking account or a credit card or debit card, call us at 330-920-9820 or toll-free at 800-542-1923, 10 am to 5 pm Eastern Time, Monday - Friday.